Will My Blog Hate Me? Pet Blogger Challenge 2012 | Will My Dog Hate Me? It’s what you’ve been waiting for — the Pet Blogger Challenge! If you’re here and you’ve already written a post answering the questions that Amy of GoPetFriendly.com and I posted on December 20, simply add the url to the Linky tool, below. If you haven’t written it yet but are inspired to do so, get cracking. You have until 11:59 PM Mountain Time tomorrow (1/11) to add your link. Otherwise, don’t blame us when you have an entire year of coulda shoulda wouldas. It was pretty much my only goal: To make my blog a vehicle to promote past and future books. In some ways I have, although blogging didn’t keep AM I BORING MY DOG from semi-going out of print. On the other hand, I decided that I wanted to write a pet travel book. 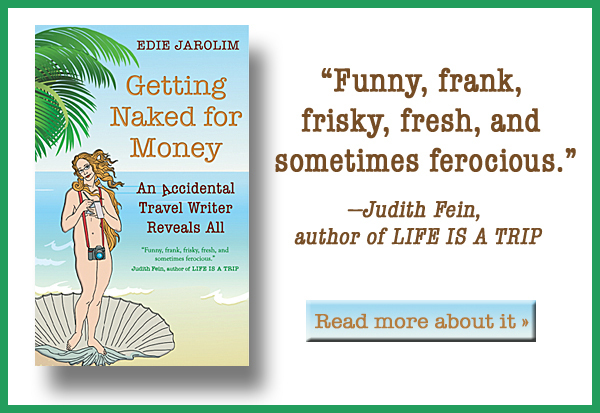 It seemed like a natural to mix my experience as a travel writer with my experience as a pet writer. To that end, I decided to “brand” myself (ugh — how did that term morph from its association with cattle?) as a pet travel expert by joining the Animal Cafe team as the pet travel correspondent; by starting a regular pet travel feature on Thursday; and most recently, by starting a pet travel book club here and on A Traveler’s Library, which also tied in my literary interests. A trifecta! I was planning to advertise the book club with a badge and a newsletter. I also bought a startlingly good domain name for the new pet travel blog I planned to start. I even got the impetus to begin the book last fall by enlisting two of my virtual friends, Pamela of Something Wagging This Way Comes and Leo of Kenzo the Hovawart, into an accountability committee. I sent them a chapter outline and the first chapter for comments and they were amazing: Thorough, insightful, helpful, honest and encouraging. I couldn’t have asked for a better accountability committee. The only thing they couldn’t do was help me to muster real enthusiasm for the book. The affiliation with Animal Cafe meant that I blogged once weekly about the interviews that were posted there — a pleasure, given the quality of the interviews by Dr. Lorie Huston, Kelly Dunbar, and site founder, Mary Haight; with A Traveler’s Library there was the addition of a regular post each month. And I made sure to blog at least four times a week. Over the year, my traffic grew slowly but steadily, and I reached the goal of 10,000 page views a month back in November. I am getting more offers than last year for paid links, hosted content, and for ads. It’s not enough to live on, but it’s always a nice surprise when it works out. Every now and then I get an offer for an ad that doesn’t make sense (I’m not talking about something offensive, like links to puppy sellers on eBay, though I’ve gotten those too). One time, for example, I got an inquiry from an addiction support site, and I suggested that maybe WMDHM was not really a good fit. Recently, I got an offer for an ad from LaCoste — you know, the French shirts with the little alligators? I decided that if they wanted to put an ad on my site, who was I to argue with them — alligators, dogs, hey, they’re all animals. So I quoted what I thought was a high price and they didn’t bat an eyelash, which made me think I should have quoted an even higher one. But I was excited. I think they discovered WMDHM was a dog blog. Yes and no. My blog has succeeded in many ways in spite of the fact that I haven’t treated it as a business or “monetized” it, to use another word I loathe almost as much as “branding” (moo!) But if you make your living as a writer and you are spending a lot of time writing and not getting paid for it and you’re not excited about the goal you claimed for it, i.e., getting established as a pet travel expert, you have to wonder if what you are doing makes a lot of sense. When Amy and I decided to co-host the Pet Blogger Challenge again last month, I had no idea I was going to say this, but I’ve decided to wind down Will My Dog Hate Me so I can devote my energies to writing a book that has nothing to do with dogs. I’ve alluded to the topic in a couple of recent blog posts — the discovery that my great uncle’s butcher shop was part of the Sigmund Freud Museum in Vienna. I want to research my background, to find out what pre-war life in Vienna was like for my family and maybe even discover some living cousins. For the first time since I started writing AM I BORING MY DOG, I’m really excited about the prospect of a new book. So I’ve got to do it. I don’t know what winding down means yet. I’m going to finish the Shelter Pet Project series I started. I have a cache of “Pet Adoption Videos that Don’t Make Me Want to Kill Myself” that I’m going to share. I’m reviewing DOG WALKS MAN on Thursday. And I can’t imagine that I won’t occasionally want to write something about Frankie; he’ll still be the center of my life, and the little publicity hound will not want to stay out of the public eye. And I’m not going to give up having opinions about dogs. It’ll also free me up to read up my favorite pet blogs and not panic when someone has covered a topic that I wanted to write about. And who knows… maybe I’ll miss pet blogging so much, I’ll change my mind. Blogs are strict task mistresses but they’re also forgiving. At least I’m hoping mine won’t hate me forever. I am keen to participate in this – where are the questions for those who didn’t partake last year? Both sets of questions are on the link to “December 20” in this post. Welcome! Oh, I worked it out… Having one of ‘those’ days. Thank-you for your help. Sorry, for my bumbling. I see what Amy meant. That IS momentous news, Edie! Good luck with your new [non-dog] book and thanks for the blog memories. I’ve not been here a while but I noticed some chatter about Frankie not being well. My best wishes for the little fella. Thanks for hosting this Challenge again! Thanks, Georgia, for your all around good wishes. I’ve missed seeing you here. And you’re welcome; it’s fun to see what everyone’s been up to. This is one of those occasions where I’m incredibly excited for you and sad for me at the same time. I will miss seeing your posts pop up on a regular basis – this has been one of my favorites since I figured out what a blog was, after all. But, we should all do things that excite us – life is simply too short not to. Good luck with your new adventure, and we’ll leave a light on for you if you decide to come back. Uh, oh — I can see the potential now for getting verklempt. Thank you! I guess I have the advantage here of still getting to read my favorite blogs, like yours. And of course you do know that I am expecting you to swing by Tucson so I can see you and the boys in person. Congratulations on your new chapter but the thought of losing you and your blog makes me sad 🙁 Change is the only constant in life though and we must move onward and upward. I wish you wild success with your book. I so get this. “It’ll also free me up to read up my favorite pet blogs and not panic when someone has covered a topic that I wanted to write about.” I always think these things. I’m so excited for you! And I don’t feel like the end you describe is quite cold turkey, so I’ll not be sad just yet. Even if you grace this space once a month, it will always be special. Besides, I have a billion posts to catch up on! Oh, no! 🙁 Boo. We love you, it won’t be the same without you and Frankie around all the time! But Amy’s right, life’s short, you have to follow your dream. She’s living proof of that, too. Hope you know how much I wish you the ultimate success and happiness in your new endeavors! Wow, not how I expected that one to end! Edie, your blog was one of the first we started reading and it took us practically forever to screw up enough courage to actually post here. You (and a few other awesome blogs) showed us that dog blogs don’t have to follow the same formula. They can be smart, funny and well written too. All things I aspire for Kol’s Notes to become. Thank you for that. Where ever the wind may blow you in 2012, we wish you the best. I hope that sometimes, the wind will blow you back here and we’ll get the occasional reminder that adoption should make you want to kill yourself, guilt free costume options and a healthy dose of what has made your blog so popular. Bonne Chance. You think LaCoste would see the huge pet clothing potential. Oh well their loss. Good luck on your book! It feels wonderful to get excited about about something, I’m sure it will be great. Thank you for hosting this again. It’s nice to take a look back and a look forward to see where we’ve been and where we are going as bloggers. Best of luck with your new adventure. Sounds exciting!! From one traveling dog to another, see ya on the road. I’m new to your blog but very excited about your various writing pursuits and book(s)! As you sniff forward, I’ll keep tracking you. All the very best with your success. Wow Edie – that is a surprise! I am happy you have a new project that you’re excited about, but I hope the little hambone (Frankie) will continue to pop in once in a while. Best of luck! It seems like you found a topic you are excited about, and connected to, and that will make for a great book. All the best of luck to you as you research and begin writing. And, I hope you keep maybe a paw in the door so we can still visit once in a while! We will miss you a lot – actually it is hard to grasp at this moment what pet blogging would be like without Edie and Frankie – but the pain is softened knowing you will be off doing what matters for you. Best of luck on this new adventure Edie. thanks for this look behind the scenes here, and for the heads up on your new direction. I’ve got one, possibly two book projects maybe coming to pass in the year ahead, so I understand the situation. I know you’ll enjoy your research and bringing your new ideas together — all the best with this next adventure. Although the pet world will miss your wit and wisdom, other “worlds” will benefit. And, yes, it is definitely a necessity to follow one’s dream. Cliche time–Go for it. Just do it. ETC. Etc. Congratulations on finding a new project to be passionate about! That is no small thing. It sounds like the next year is going to be filled with excitement. Even if you are around the pet blogging world much less, I will be ready to cheer you on when you do show up. I finally finished reading your book on the bus this morning and, other than the ending which made me cry in public, I loved every bit of it. Whatever you write in the future, I will be among the first to buy. Thank you so much for all of your kindness in the last year. I admit, I envy you your concrete goals. Good luck to you entering the print arena again. I left it behind sometime ago and have not looked back, although, like you, I occasionally have an idea for a book. Usually these are fleeting thoughts that I am able to let go of. Best wishes! As your BFF (Biggest Fan and Best Friend Forever), I share all the sentiments expressed above. It’s been so great “seeing” you every day even though we live hundreds of miles apart. Darn, now I really will have to make sure to write and call as often as I did before the blog began! It’s also been so instructive to see how a person with great intelligence, humor, and passion for a subject, goes about creating an important body of work. You are so full of ideas, and unlike most people bubbling over with concepts, you follow through with organization, hard research and meticulous writing. Not I, but I look forward to reading over your shoulder and knit-picking a phrase here or there as the next book emerges. Oh NO! I enjoy your blog so much I can’t imagine being without at least a weekly or bi-weekly fix! Thanks for doing the Challenge again. I’m enjoying reading everybody’s posts. By the way, can’t figure out how to comment on Pet Friendly anymore. It keeps insisting I log in with FaceBook and that ID isn’t me. GRRRR…So please let them know we’re reading and enjoying, just can’t post a comment anymore. I’m thrilled about your new venture, Edie! Of course I’ll miss WMDHM, but I can’t help looking forward to what you’ll do with your marvelous family history. I hope — every finger crossed — that you’ll stick your toes back into the dog travel blogging water from time to time with a guest post on Dog Jaunt. I laughed when I read your comment about the word “Brand” Ugh! I just commented on Kristine’s blog how much I hate that word too. I have to say that I am deeply saddened by your decision to wind down our blog, although I completely understand your reasoning, I have come to look forward to your posts. However, you absolutely should follow your heart on this one. Your new book venture sounds fascinating. I love history and reading about history. I’m actually looking forward to reading it when it is done. I have always enjoyed your wit and humor and unique way at looking at things. I am sure I will still get to enjoy it as you head in a new direction. I wish you much success with your book Edie. And, if you ever decide to come back to dog blogging, I will be the first in line. Whoa! I don’t see that coming when I started reading this post! I have to say though, good for you. For knowing what you want to do and going for it! Wow! Finding out that you’re shifting gears is a surprise, but I wish you the very best of luck in pursuing what makes you happy! I hope that it goes really well and that you don’t give up writing here completely. Good luck to you and your future! I bet you are very excited to take on a new adventure. I am only sorry that now I am posting a comment has I have been a visitor to your blog for a while. I do look forward to seeing your progress. I’m so excited to read your public announcement. I too have pursued things in my life because I thought they made sense. But they didn’t move my heart. I’m glad that working through your plans over the past year has lead you to your heart’s interest. Just wanted to leave a quick note (yeah, I know, I’ll never do it) thanking you for setting up the hop. Everyone is so jazzed. You’ve made such a great contribution to the community. Anyway, I’ll be in touch a little later. But congratulations! And I can’t wait to read your stories and ultimate book about your family history. It looks fascinating. I am so moved and pleased and conflicted — I’m giving this up, why? — by all your comments and good wishes. I am also torn between a) answering you all individually b) reading all the entries in this challenge and c) writing my book review post for tomorrow. Oh, and d) walking Frankie. So I’m going with b, c, and d and will return to a in one way or another soon. As the only person I knew from the travel writing world when we entered the dog writing world three years ago, I’m so sorry to see you move on… but so happy to hear you’re enthusiastic about a new project!! It’s tough to get up and face that keyboard every day if you’re not excited about the work (been there, done that). All the very best wishes as you hop back on the travel path…although I have to say I wouldn’t be surprised if straying from the dog path for a while brings renewed interest to your earlier dog travel plans. Happy travels! Wow! Love your blog and will miss it in my reader – but what an exciting project. Aside from dogs my big hobby is genealogy so I can really understand the buzz that this discovery will have and why you want to find out more. Good luck with it all! Thank-you to you & Amy for organizing this event again, it really was a lot of fun! I’m sorry to hear that you will not be blogging as regularly, I will miss you 🙁 But good luck with the new project and if a book does come out of your research, put me on the buyers list! Thanks for the shout out Edie! And as I have told you often, I come to your blog to get away from the ugly stuff behind the animal welfare curtain – you could always lift my spirits, often making me gaffaw or snort-laugh…making Tashi think there was something wrong with me;-D! We will miss you on Animal Cafe, but when you’re just not feeling it…as Amy and others have said, life is too short to do things your not excited about. And what a cool thing to find in your family history to move on to! I am excited for you and sad for me!! It will be fun to read the adventures of you and Frankie whatever you are writing! Thanks for hosting this years pet blogger challenge. This is my first year participating and I barely got my blog into the blog hop. Congratulations on reaching your goal of 10,000 page views a month. That’s a huge milestone. It was also pretty interesting that LaCoste approached you for advertising space. Those are some pretty awesome accomplishments from last year. I’m sure your numbers will continue to rise in 2012.